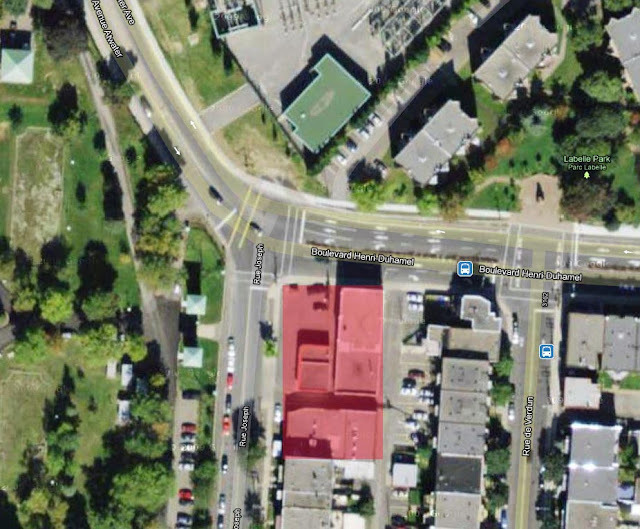 This busy intersection just at the limits of Verdun, on the corner where Joseph st and Henri-Duhamel blvd meet with Atwater ave in Verdun, has seen a lot of activity recently. I've already posted about the demolition of the old garage back in October 2011 (link) which was set to be the site of a new condo complex called Verwater (?). 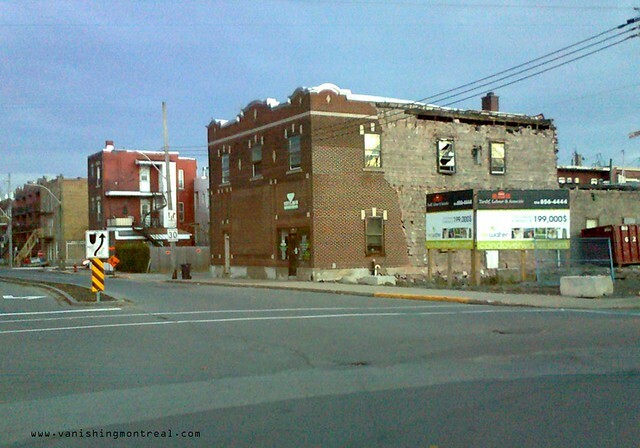 The demolition actually took place in the summer of 2011 (photo above) and nothing was going on there since that time. 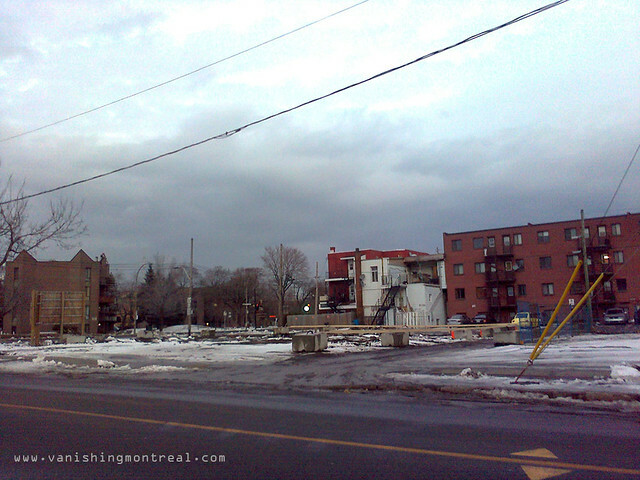 Now just this past couple of weeks, the big building just next to the empty lot was demolished in the span of a few day. 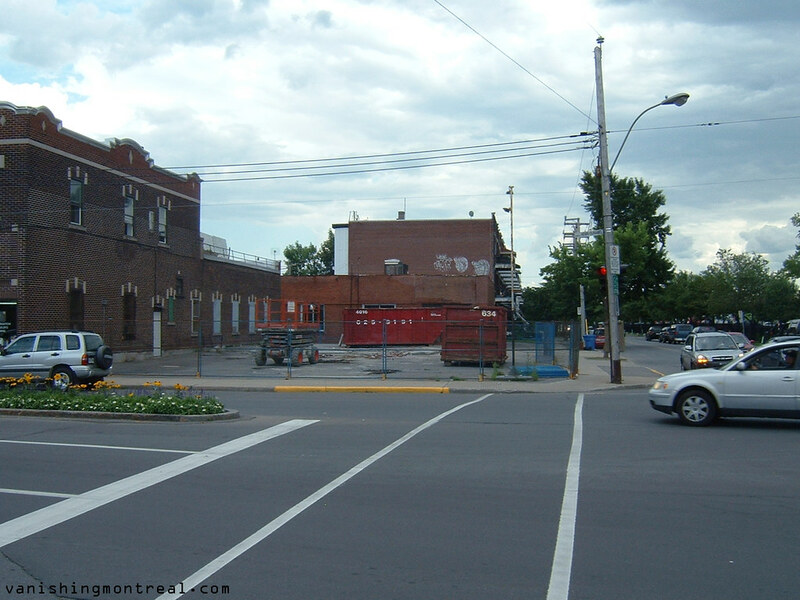 The first sign that the building was going to be demolished was the exterior brick wall being removed (second photo) and then a few days into the following week and the entire building was gone (third and fourth photos). That's the fastest demolition I've ever seen. And it's not a small dainty building. I'm assuming that the condo project was stalled for over a year because it lacked space but now with the demolition of the other building this is going to be a big condo project. 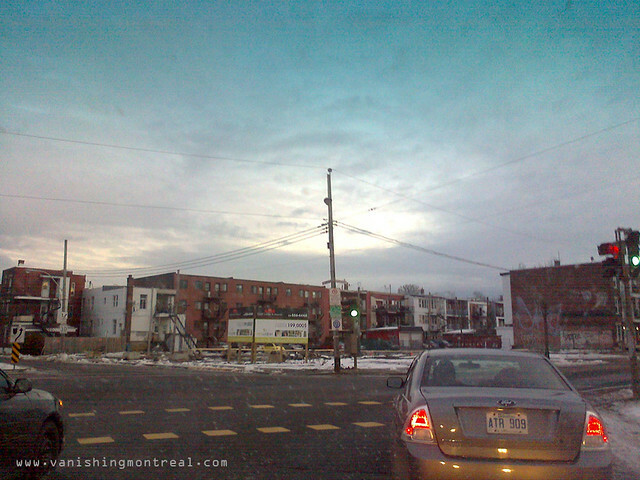 From Joseph st looking towards Henri-Duhamel blvd. Lotsa space now for new project. 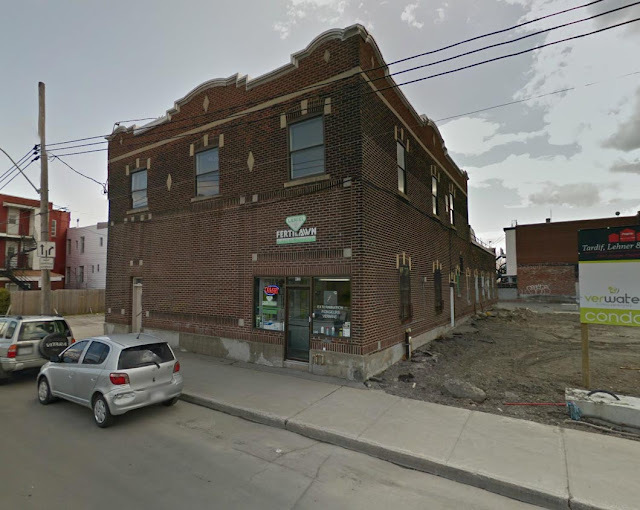 This screenshot of the corner from Google maps shows how big the area is now with the addition of the extra space from the recently demolished building.